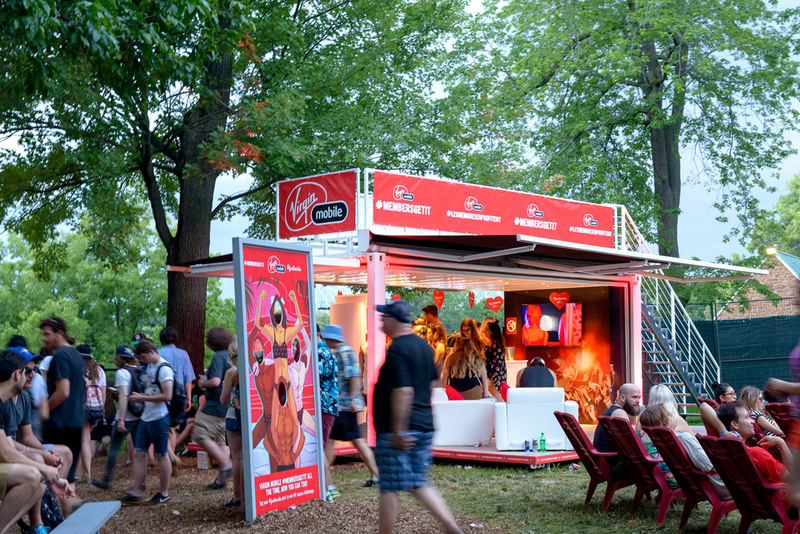 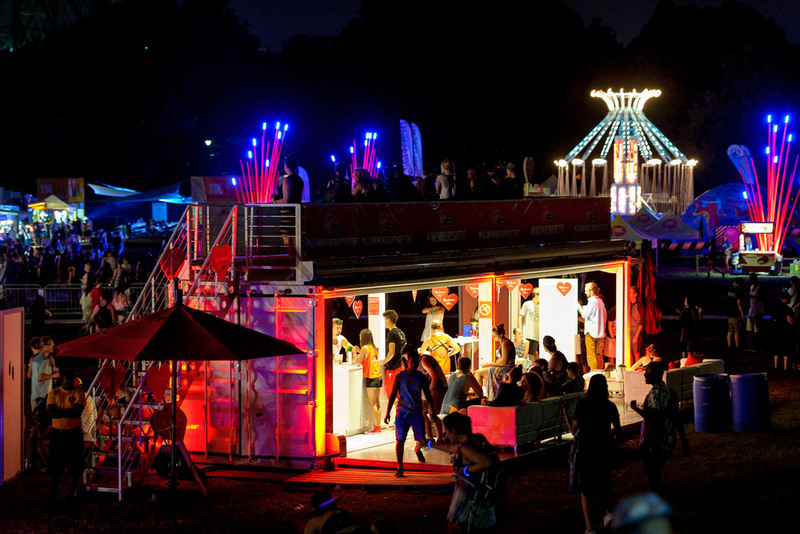 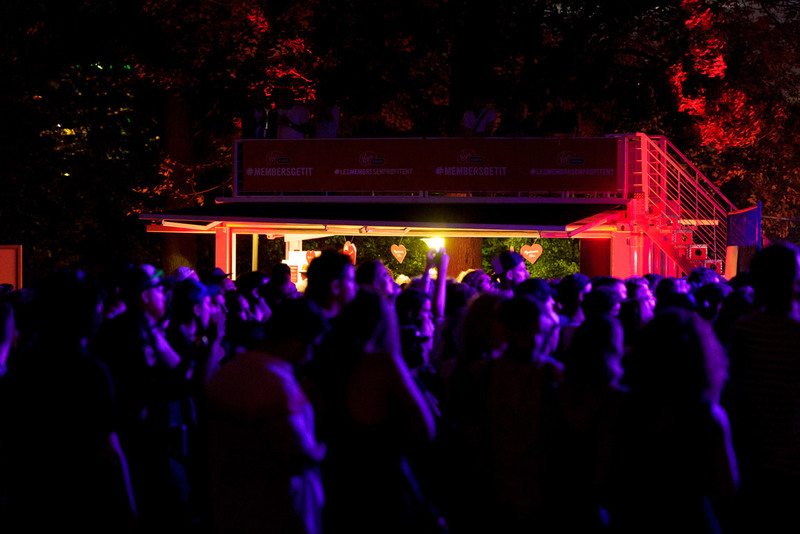 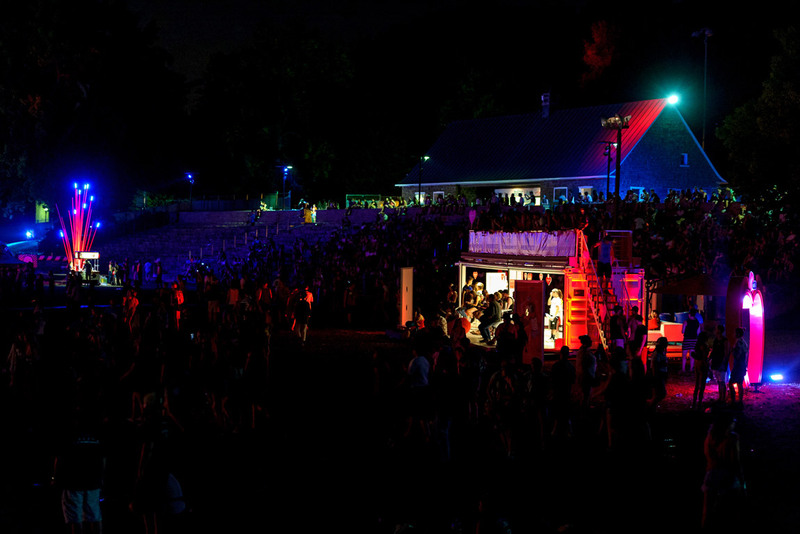 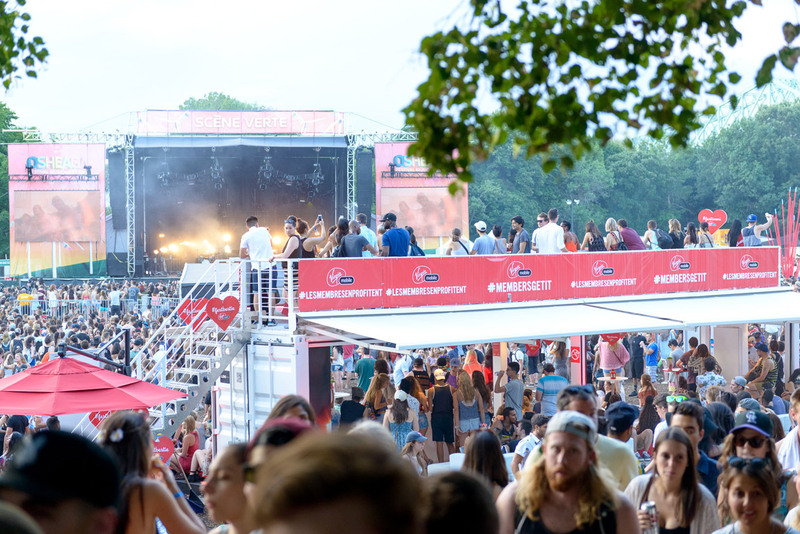 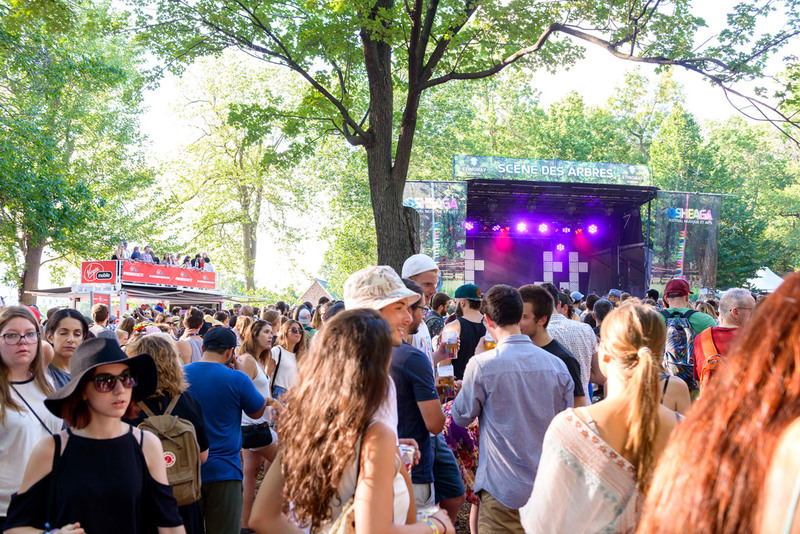 During the 2015 edition of the Iconic Osheaga musical festival, Virgin Mobile turned to Loki for a custom one-week rental of our cutting-edge BB10, BB20 and BB40 containers. 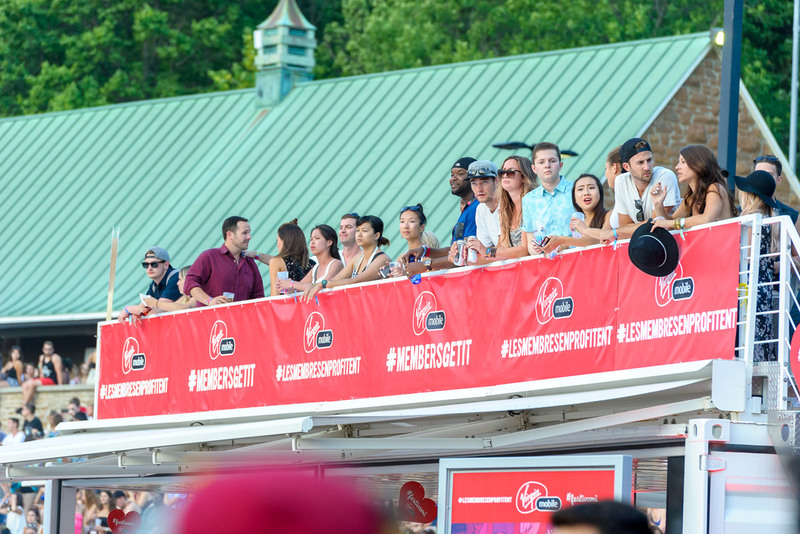 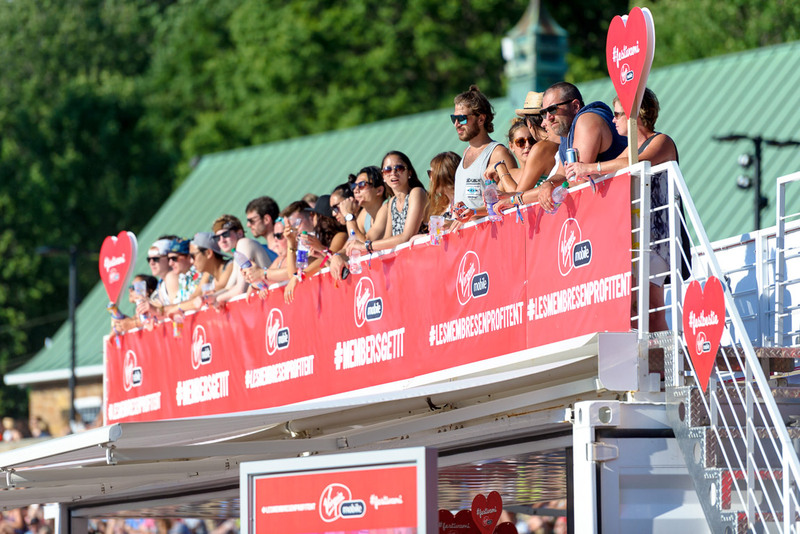 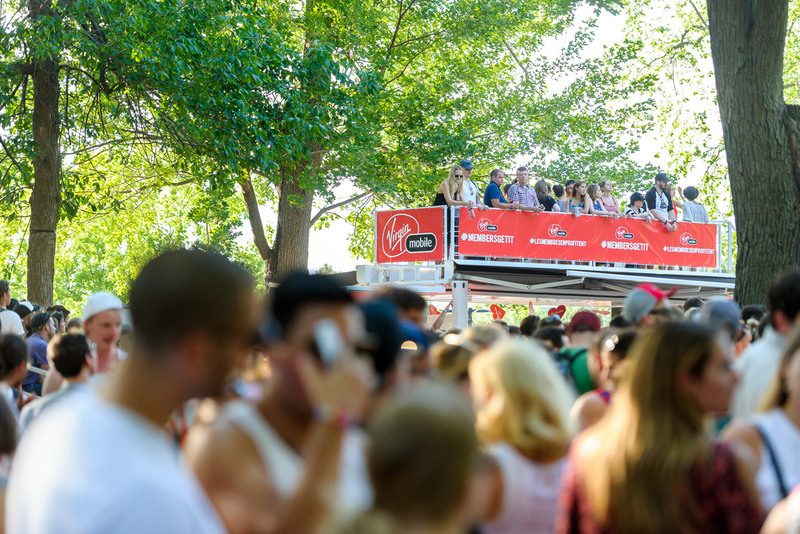 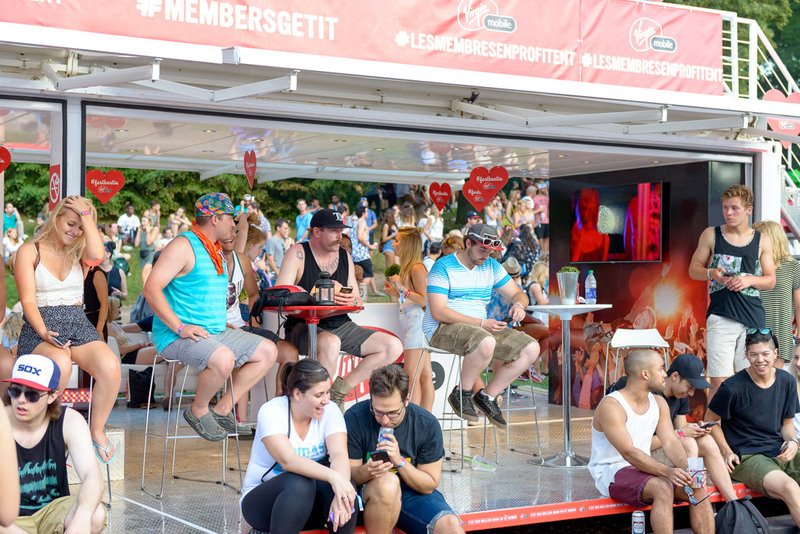 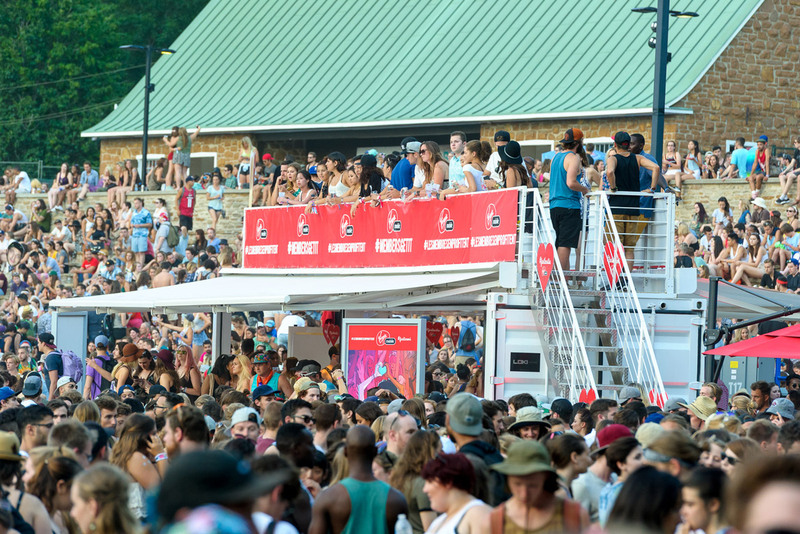 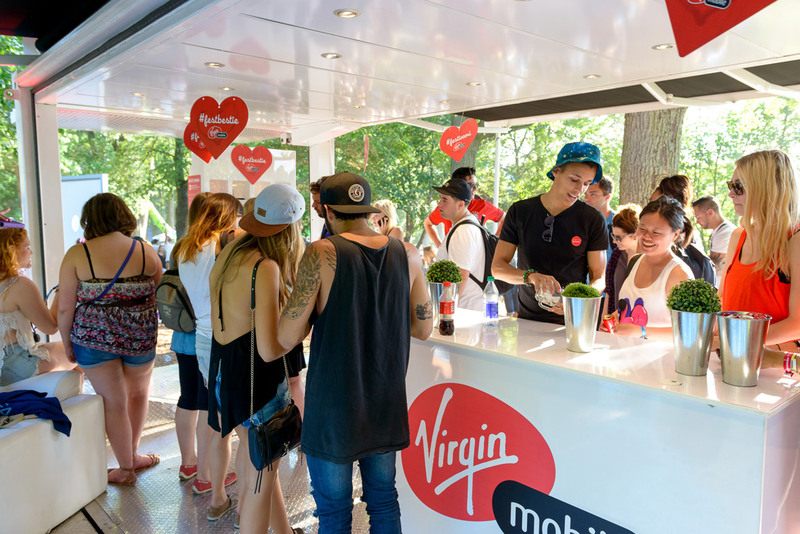 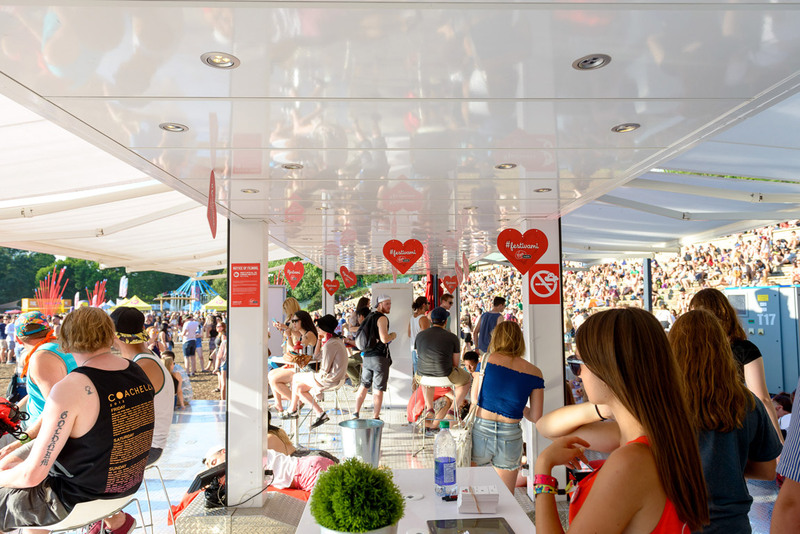 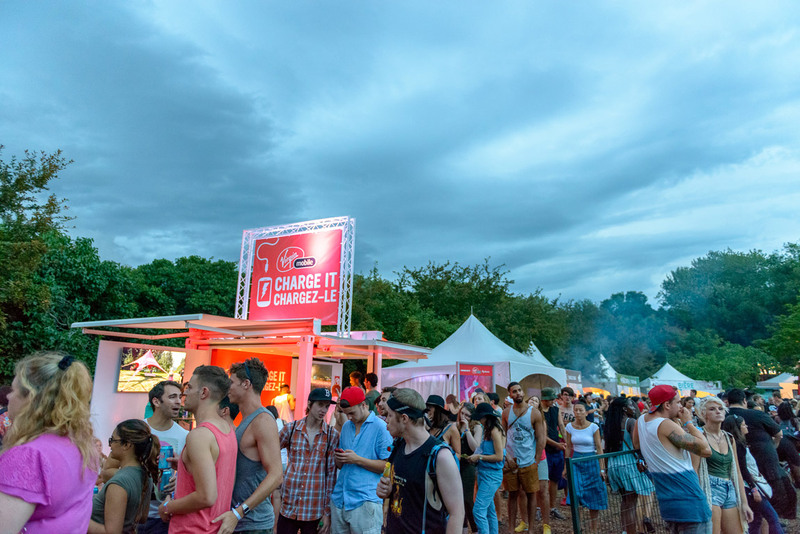 More than 200,000 festival revellers on Montreal's famed Notre-Dame Island witnessed the custom Virgin Mobile activation firsthand where a special VIP section was also set up. 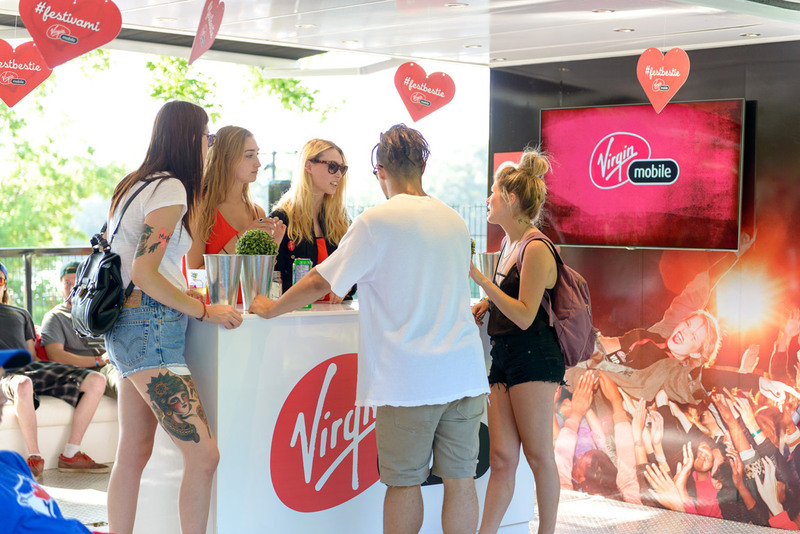 Anyone with a Virgin Mobile phone could access this ultimate VIP experience which became an oasis in an ocean of music fans. 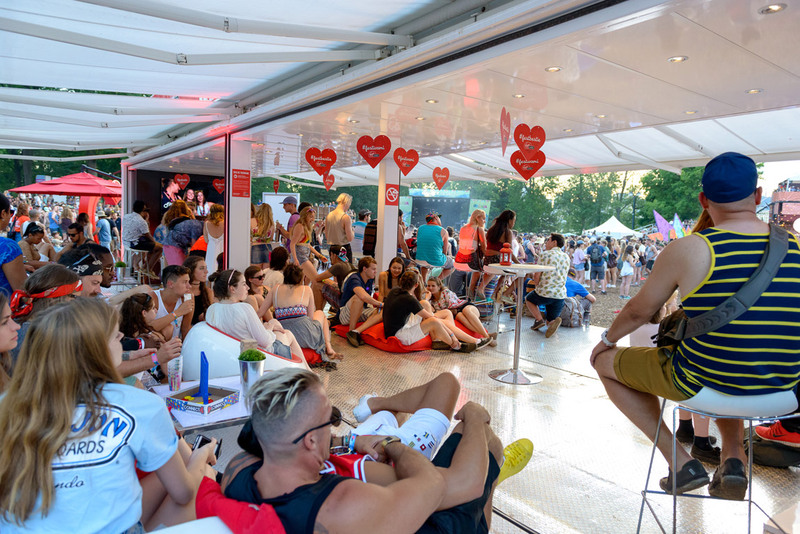 The experience included lounging on the top decks, enjoying refreshments and lounging on sofa seating in our BB20 and BB40 custom containers while watching a show. 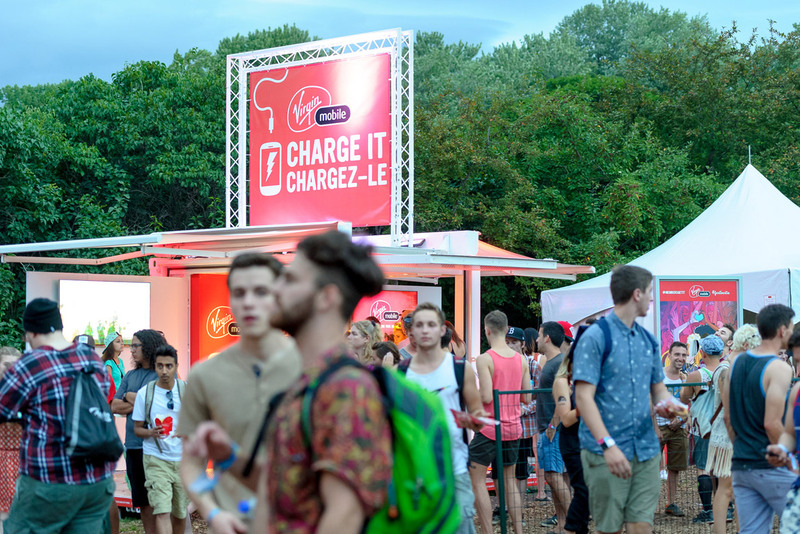 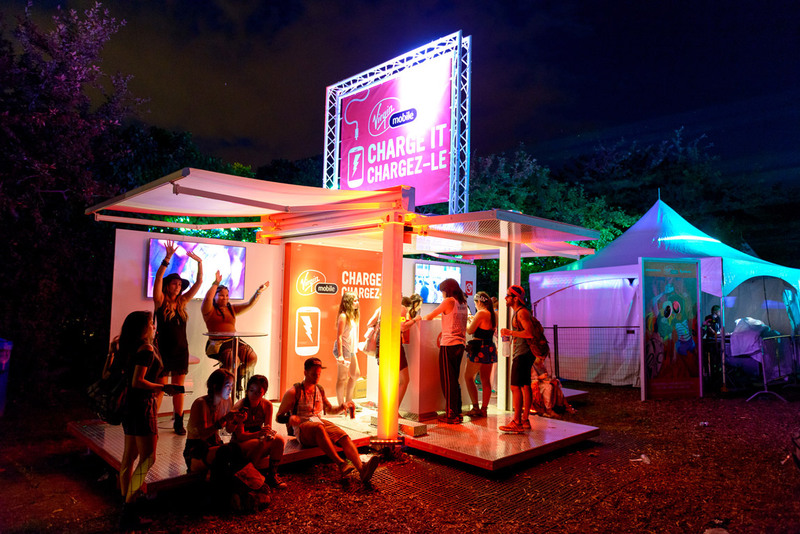 Virgin Mobile chose our BB10 custom model for their charging stations, which were visually identified for the crowd, well located and superbly branded. 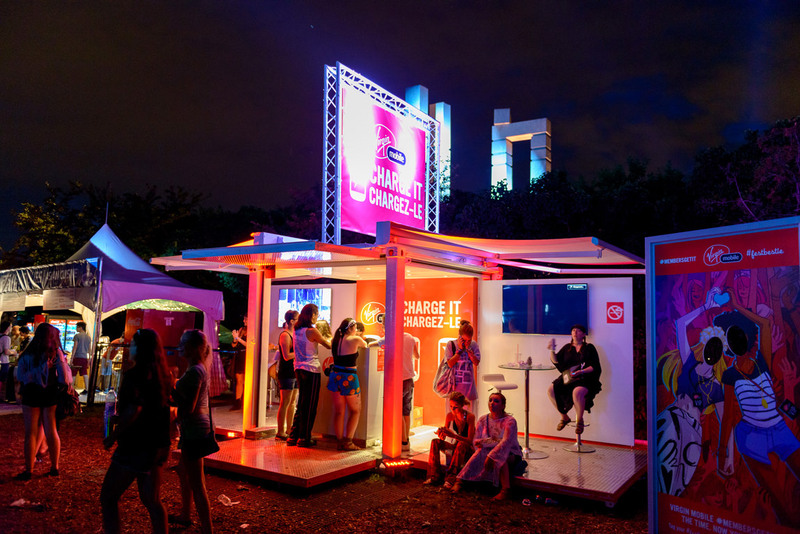 Our ability to offer a turnkey solution was also a big factor in this activation’s success. 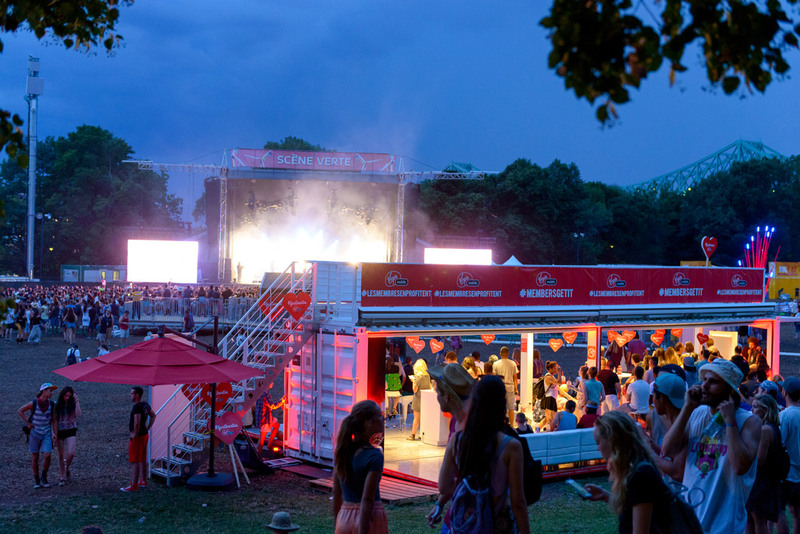 We assisted with logistics, set-up, supervision, teardown, furniture and branding.